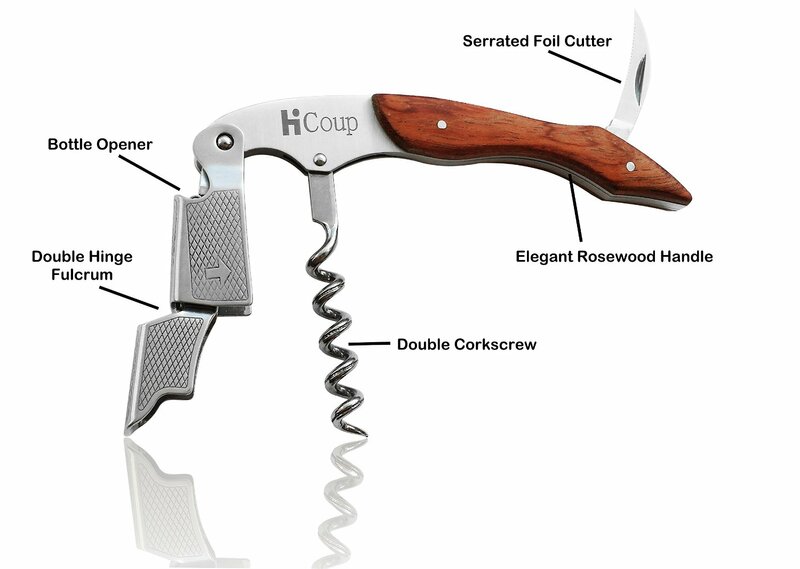 If you love wine then you will need this All-in-One corkscrew from HiCoup. 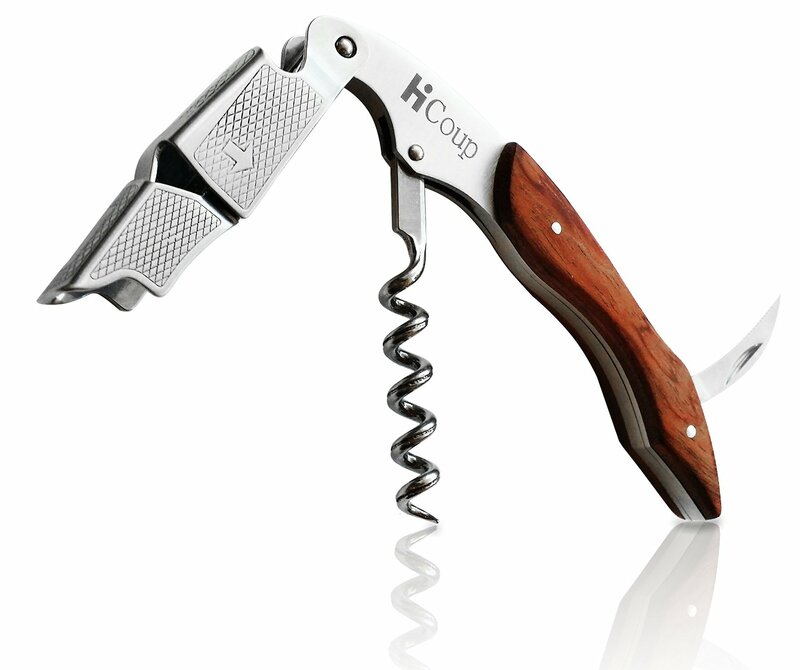 This corkscrew is the perfect gift for wine lovers. Not only is it a corkscrew but it literally has everything you need to quickly open your bottle of win efficiently and enjoy it. There are three features on this tool. First it’s a corkscrew obviously, but it also has a foil cutter in the top of handle and has a bottle opener attachment as well. The handle is made from rose wood and is a beautiful wood finish. The corkscrew, bottle opener, and seal opener are made from premium metals and are sturdy and well made. The handle allows for a good grip on the tool while you are opening those wine bottles, no slipping. It’s a must have for the wine lovers in your life. A GREAT VALUE FOR YOUR MONEY!!! Don’t let the price fool you, this is a fantastic sommelier-inspired, premium quality and durable 3 in 1 multi-function waiters friend. This corkscrew elegantly blends the features of a wine corkscrew, bottle opener and foil cutter all together in a stylish and durable stainless steel body with comfort-grip wood handle. It inspires confidence and offers the satisfying, solid heft of a fine tool and feels good in the hand, like a well-balanced kitchen knife. LONG, ROUNDED AND SERRATED FOIL CUTTER makes foil removal quick and eliminates the need to purchase another gadget. It is also specially designed to reduce the risk of slippage and minimize any tearing of the foil or plastic. 100% MANUFACTURER’S WARRANTY: We stand behind our products with a complete, lifetime guarantee. If something breaks or if you don’t absolutely love your new Waiters Corkscrew, we will take it back and offer a replacement or refund, no questions asked. That is part of our 100% LIFETIME CUSTOMER SATISFACTION GUARANTEE!!! You can purchase this corkscrew on Amazon!